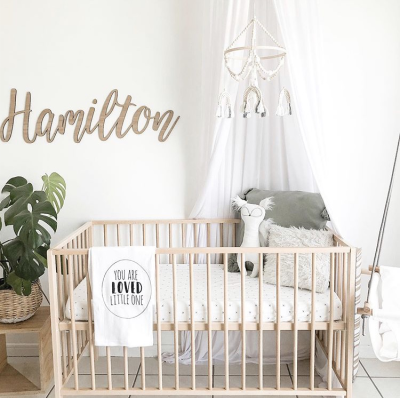 Our monochromatic Mobiles are the perfect addition to any nursery. The simple contrast between natural wood beads and the tassels, rainbows and pompoms are sure to delight both baby and parents alike. The tassels are handmade from 100% hand-dyed bamboo yarn (such a gorgeous sheen!). A gentle breeze (window or fan!) will encourage subtle movement of the mobile which encourages some stimulation for your little as he/she tracks the motion of the tassels. Notify me when Large Tassel Mobile - Milk White Mobiles is available.